Job was a non-Jewish man who worshiped God. He was upright in his conduct and dealings with others (Job 1: 1- 5). Job lived during the second millennium B.C. in the land of Uz, probably located in present day Jordan. When the Book begins, we see God giving Satan permission to test Job’s righteousness and loyalty to God; Satan can do anything to Job but kill him (Job 1: 6 – 2: 10). The result is that Satan kills Job’s children, destroys Job’s home, deprives Job of his wealth, and afflicts him with painful boils from the soles of his feet to the top of his head. Shortly after these calamities, three of Job’s friends visit him to extend comfort. Most of the Book of Job consists of discourses between Job and the three friends (Job chapters 3 – 37). We read Job’s struggle to understand his losses while still maintaining his faith in God. Finally, God becomes involved in a conversation with Job (Job chapters 38 – 41). God identifies himself as the creator of all things and as such Job should be able to trust God’s wisdom, love, and power. The plant associated with Job is the lotus. The only place the lotus is mentioned in the Bible is Job 40: 21 – 22 when God speaks to Job. In response to Job’s accusations that God has wronged him (Job 19:6), God asserts that He is able to determine and administer justice. One of the ways God makes His point is by asking Job if Job can create and control the behemoth (Job 40: 15 – 24). Behemoth in Hebrew is behêmôwth meaning a large quadruped animal. An example of the behêmôwth is the hippopotamus, a semi-aquatic, plant-eating mammal that spends time under the water. The behemoth is described as lying under the lotus and concealed in the lotus’ shadow among marsh reeds and streams (Job 40: 21 – 23). The Bible information on the lotus plant is sketchy: it grows in marshes and streams and the plant grows large enough to cover and conceal the behemoth. 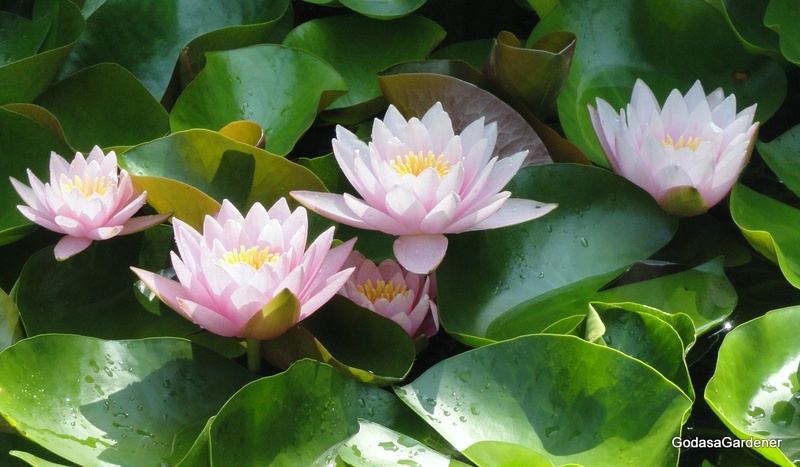 The Mid-Eastern lotus is the Nelumbo nucifera, also called the sacred lotus. The lotuses presence has been documented for some 5000 years. The N. nucifera is an aquatic perennial. Lotus roots, called rhizomes, grow up to 4 feet and spread in wet soils such as a marsh, pond, or river bottom. Lotus stalks grow as high as 5 – 6 feet with a horizontal spread of 3 ½ yards. Leaves and flowers grow several inches above the water surface.In the center of the lotus blossom, there is a head or pod. The pod contains round lotus seeds in small circular chambers on its flat surface. The circular chambers cradle the seeds until they are fully ripe. At that time the pod bends over and releases the seeds into the water. Seeds fall to the bottom of the water, takes root, and in turn produce new lotus plants. Often dried lotus pods with seeds are used in flower arrangements. Most eastern cultures and religions identify some sort of symbolism with the lotus plant, e.g., the lotus represents creative power, purity, faithfulness, divine birth, and vitality. Vitality is the ability to live, grow, and develop. Often vitality is associated with the power to endure and survive. In the dry season in Jordan, water in ponds and streams are low and lotus seeds and roots remain dormant in the mud or cracked earth. With the coming of the rains, lotus seeds and roots grow from the mud. Leaf and flower buds emerge over the top of the water and unfold into the visible beauty of the lotus leaf and blossom. Like the lotus plant, Job’s dialogues demonstrate vitality – persistent life, endurance, and growth in extreme adversity. At times Job’s speeches indicate that he wishes he had never been born (Job 3: 3, 11, 16) and he longs for death (Job 3: 20 – 21). Repeatedly, Job cries to God for answers so he can understand how God could allow these over-whelming losses in his life (Job 7: 20; 10: 1 – 7). Yet, Job’s belief in God remains alive in spite of all his hardships. Job avers, “to God belong wisdom, and power; counsel and understanding are His” (Job 12: 13). In the midst of his anguish Job utters the words that have been a part of Judeo-Christian belief for almost 3000 years, “though he slay me, yet will I hope (trust) in him” (Job 13: 15). It is from Job that we have the promise and prophecy, “I know that my Redeemer lives, and that in the end he will stand upon the earth” (Job 19: 25). Near the end of the Book of Job (chapters 38 – 41) God responds to Job, not to give Job a reason for his suffering, but to remind Job that the wisdom that directs God’s ways is beyond the reach of human understanding. Finally, Job understands that God’s purposes are supreme over all creation to including Job himself (42: 1 – 6). As a result of Job’s honesty, God blesses the latter part of Job’s life more than the first part. God give Job a long life that includes seven sons and three beautiful daughters (Job 42: 10 – 17). God rewards Job with more than twice as much prosperity as Job had before his adversity. Like the beautiful lotus plant and like Job, we have the opportunity to grow into more vital Christians when we encounter unfavorable and difficulty situations. When we encounter these situation, the way to become a more alive Christian is not to “curse God and die” (Job 2: 9), but to cling even tighter to the giver and sustainer of our lives. When we experience desolation and despair, we need to spend time in prayer and read God’s Word. Just like God judged the attitude of Jobs heart and spoke directly to Job’s situation, so does the Bible speak directly to Christians. God tells us in Hebrews 4: 12 – 13: The word of the Lord is living and active. The word of the Lord judges the thoughts and attitudes of the heart. Nothing in all creation is hidden from God’s sight (NIV). If we open our hearts to God through prayer and Bible reading, God gives us insight into our circumstance that we can use to live and grow. God provides clear perception that we can use to move beyond our present situation to a new vitality. Thought: All women and men encounter tough times. The question is what do we do in these tough times? Do we use them to grow (vitality) in the face of adversity, or do we collapse under the weight of the circumstance and turn from God? Copyright March 19, 2011, Carolyn A. Roth; all rights reserved. Thought: What do we do in when we experience tough times? Do we use them to grow (vitality), or do we collapse under their weight and turn from God?